The world’s third largest celebration of the written word, the Sharjah International Book Fair (SIBF), has put up yet another record performance in its 37th annual edition. Themed ‘A Tale of Letters’, the event was a dream come true occasion for book lovers, who had access to 20 million books, all under one roof. Organised by the Sharjah Book Authority (SBA) in the emirate of Sharjah, cultural capital of the United Arab Emirates (UAE), SIBF 2018 witnessed a footfall of 2.23 million visitors in 11 days, including 230,000 school students who poured in from around the country. 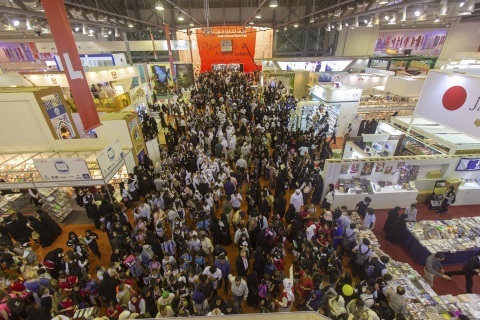 The Sharjah International Book Fair hosted 1,874 publishers from 77 countries who brought in 1.6 million titles, 80,000 of which were seen at the fair for the first time. It also offered its stage to 1,800 events spanning celebrity author talks, seminars, book signings, poetry and storytelling, theatre, arts, entertainment and much more. These activities generated unrivalled social media traction, receiving a whopping 2.7 billion impressions. The SIBF hashtag #SIBF18 reached 300 million users via 70,000 posts on its official social media accounts. The SIBF Guest of Honour programme, which seeks to build cultural bridges between the UAE and the world, had Japan under the spotlight this year. This year, the fair saw the fifth edition of the annual SIBF/ALA Library Conference organised in partnership between the Sharjah Book Authority and the American Library Association (ALA). The conference was attended by over 400 librarians and academics from the region and the world, who partook in over 25 panel discussions and networking events, to discuss the changing role of libraries in the era of digitisation. The three-day SIBF Publishers Conference, which is held as a precursor to the 11-day event, engaged 486 publishers with panel discussions, and 3,000 “Matchmaking Meetings”. These meetings resulted in the signing of 2,884 translation rights agreements.